The final section of the Coney Island CreekWalk has been completed and installed at Calvert Vaux Park. 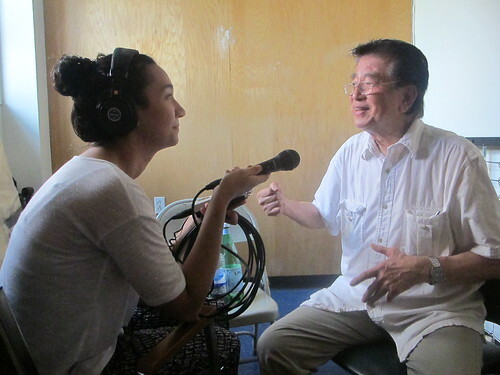 Conceived and produced by Charles Denson, director of the Coney Island History Project, this self-guided tour of Coney Island Creek was funded by a Capacity Fund Grant from Partnerships for Parks, a joint program of NYC Parks and City Parks Foundation. 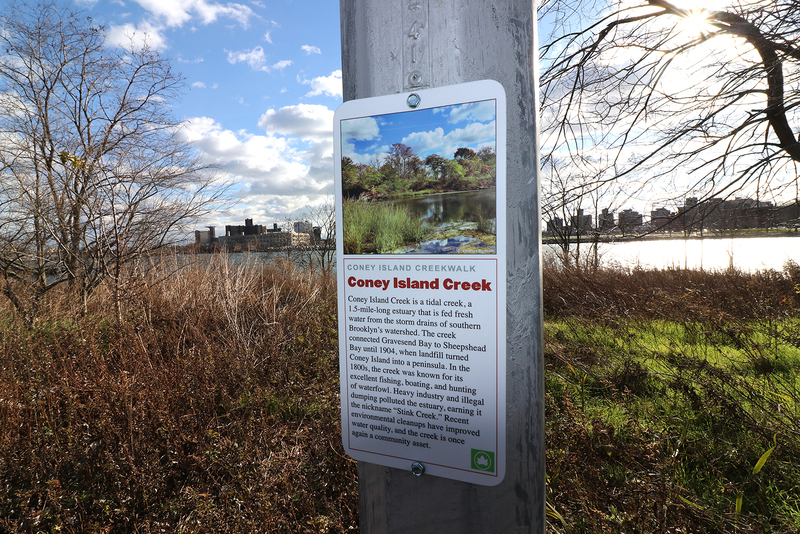 The CreekWalk project, which began in 2012, includes informational aluminum signs and full-color brochures that describe the history, wildlife, and ecology of the creek at Kaiser Park and Calvert Vaux Park. 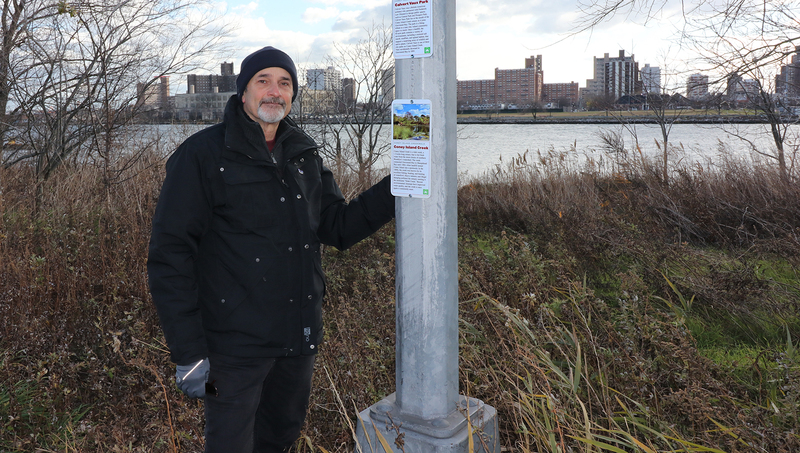 "I've been researching and documenting Coney Island Creek since the 1960s," Denson said, "and we wanted to share this information with park visitors who may not be familiar with the fascinating history of these parks and the sights to be seen along the two trails where our signs have been placed." 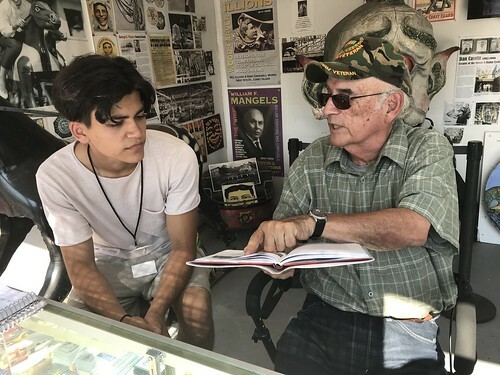 Among the points of interest are sand dunes, horseshoe crabs, wetlands, shipwrecks (the Yellow Submarine), ribbed mussels, fishing, birds, flowers, and the history of the two parks. The last sign on the trail, located at a scenic viewpoint at Calvert Vaux, describes the site of the historic British invasion of 1776 on Gravesend Bay that led to the Battle of Brooklyn. 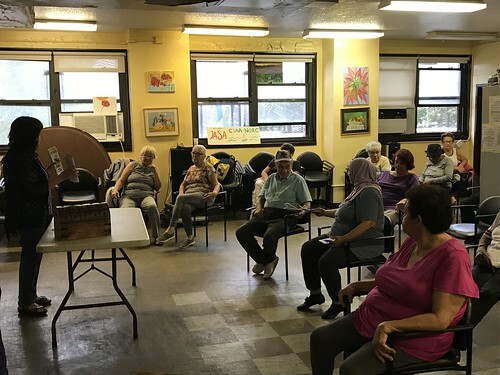 "Sometimes informational park signs use generic images as illustration, Denson said, "but all of the photos used in this tour were taken on the Coney Island Creek estuary. 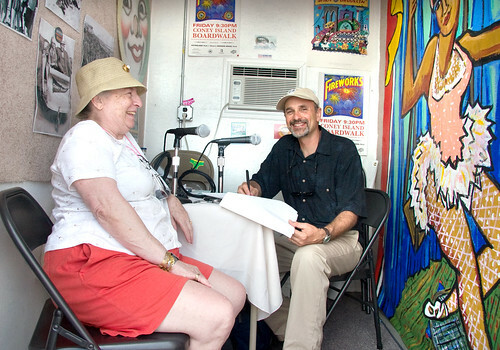 Coney Island Creek is a unique waterway with a compelling history and great ecological importance." 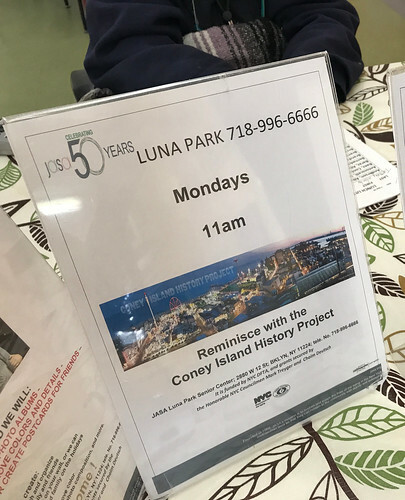 The free brochures will be available at the Coney Island History Project during the summer or from Partnerships for Parks at park events. The tour at Kaiser Park begins at Bayview Avenue and heads east along a paved path that follows the creek. The signs are installed on the guardrail. At Calvert Vaux Park the tour begins at the parking lot at Shore Parkway and heads west along the paved path that starts at the second kayak launch. The signs are installed on light poles along the path. 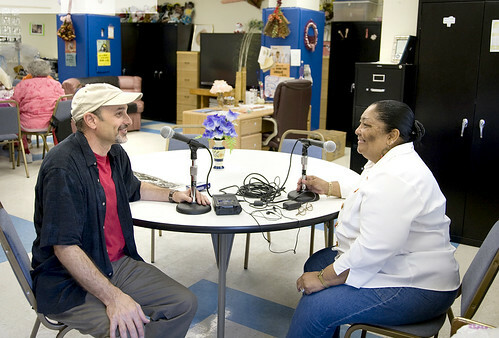 Special thanks to Martin Maher and Michael Super of NYC Parks; Pamela Pettyjohn of Coney Island Beautification Project; and Ted Enoch of the Catalyst Program of Partnerships for Parks.